In debates with Sunnis, Shias will often cite a very well-known narration, known as ḥadīth Al Thaqalayn, from Sunni literature to justify their absolute reliance on Ahlulbait. In this context, many often forget a fundamental concept in ḥadīth authentication: though a report may be generally authentic, a certain addition/wording of the report listed in a certain book may not be. For example, a report may have an authentic basis in Sunni literature; however, a scholar of ḥadīth (such as Al-ṭabaranī) may report the ḥadīth through a weak transmitter with an extra addition or a change in its wording. This would deem that addition/wording unreliable and unauthentic, even though the report may have a basis. With that being said, it is very common to see Shias cite the weaker wordings/additions of this ḥadīth, and then attribute those reports to Imam Muslim in his Saḥīḥ. However, this is an error in citation, as Imam Muslim’s reports often do not contain many of the additions that are cited. Thus, it would be wrong attributing the additions/wordings Muslim did not report in his ḥadīths to Saḥīḥ Muslim or any other reference. It is reported in numerous Ḥadīth books through several companions of the Prophet ﷺ. It is reported through: Jābir bin ‘Abdillah, Zaid bin Arqam, Abu Sa’īd Al-Khudri, Zaid bin Thābit, Abu Dhar Al-Ghifārī, Hudhaifah bin Usaid, Abu Hurairah, Ibn ‘Abbas, Ibn ‘Umar, and Alī bin Abī Tāleb. Though the basis of the report is well attested to, the reports greatly vary in their wordings to the extent that their implications greatly change depending on the certain variation of the report. Thus, we will address this ḥadīth with a careful examination of every relevant report through each companion. He (the Prophet ﷺ ) then raised his forefinger towards the sky, pointing it at the people and said: “O Allāh bear witness. O Allāh bear witness,” saying it thrice. This report is authentic, as all of its transmitters are reliable and trustworthy individuals. As clear in this report, there is no mention of Ahlulbait, let alone a command to follow them. What many readers may not understand is that Al-Tirmidhī used two terms to describe the ḥadīth. Though many readers may quickly conclude that this is an authentication of the report by Al-Tirmidhī, that most certainly is not the case. In fact, from this statement, one can infer that Al-Tirmidhī declares the report to be weak. This issue stems from a misunderstanding of Al-Tirmidhī’s usage of the term “Ḥasan”. Many conflate Al-Tirmidhī’s “Ḥasan” with the general term “Ḥasan” used by other Muḥaddiths. However, they are totally different concepts. Any reader informed in the sciences of ḥadīth will recognize that weak ḥadīths can fall under this category. For example, a report may be transmitted through a transmitter with a very bad memory. As long as the transmitter is not a liar, nor the report is shādh, then Al-Tirmidhī will classify it as Ḥasan. However, a mistake could still have been made on the transmitter’s part. Similarly, Al-Tirmidhī classifies this ḥadīth as Gharīb, which means that the wording in the report is exclusively transmitted through one route, in this case: through Zaid bin Al Ḥasan Al Anmāṭī, as pointed out by Al-ṭabarānī after he reported the ḥadīth. 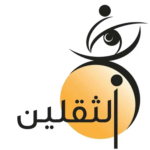 Zaid bin Al Ḥasan is a weak transmitter. Abu Ḥātem said: “Munkar Al Ḥadīth”… meaning: he transmits objectionable reports. Ibn Ḥajar declared him: “Da’īf” (weak), as well. Thus, this report of Al-Tirmidhī to Jābir bin ‘Abdillah is weak, and this wording of Al Thaqalayn cannot be relied upon or cited as evidence. “One day Allāh’s Messenger ﷺ stood up to deliver sermon at a watering place known as Khumm situated between Mecca and Medina. He praised Allāh, extolled Him, delivered the sermon and exhorted (us), and said: Now to our purpose. O people, I am a human being. I am about to receive a messenger (the angel of death) from my Lord and and I am about to respond to the call of my Lord, but I am leaving among you al Thaqalayn: the one being the Book of Allāh in which there is right guidance and light, so hold fast to the Book of Allāh and adhere to it. “The second are the members of my household I remind you (of your duties) to the members of my family. Are these are those for whom the acceptance of Zakat is forbidden? This report is authentic and is transmitted with an authentic isnād. There is no command to follow Ahlulbait, for the Prophet ﷺ merely commands the believers to grasp onto the Quran & to fulfill their duties towards Ahlulbait & take care of them. Similarly, the narrator of the ḥadīth, Zaid, indicates that the wives of the Prophet ﷺ are generally included under the definition of the term “Ahlubait”; however, they are not addressed in this specific case. ‘Aqil, Al-‘Abbas, Ja’far bin Abī Tāleb and their respective progenies are included under the term “Ahlulbait”; thus, it is wrong for Shias to cite this ḥadīth claiming it is exclusively meant for Alī & Fatimah, and their progeny. This isnād is clearly authentic, as all of its transmitters are thiqat (trustworthy/reliable). Similarly, there is no reference to grasping onto Ahlulbait, or following them. Al-Tirmidhī declared the ḥadīth to be Ḥasan Gharīb. As mentioned earlier, this does not imply Al-Tirmidhī authenticates the ḥadīth. In fact, the ḥadīth is very weak. Al-A’mash is a trustworthy transmitter; however, he is known to be a mudallis. A mudallis is a transmitter who makes tadlis, or skips over the transmitter he heard the report from in the chain of transmission. Thus, unless the mudallis explicitly mentions hearing the report from the transmitter above him, the report cannot be trusted as there could be a gap between the mudallis and whomever he reportedly transmits the report from. In this case, Al-A’mash does not mention hearing the report. Abu Ḥātem Al-Razī, Al-Nasā’ī, Aḥmed bin Ḥanbal, Ibn ‘Adi, Yaḥya bin Ma’īn (and many others) have declared him to be: Da’īf (weak). Abu Zur’ah Al-Razi described him saying: “Layyin”, meaning he is weak. Habīb bin Abī Thābit is known for making tadlis. Thus, it is evident that there is a gap in the chain between Habīb & Zaid bin Arqam; similarly, there may be a gap between Al-A’mash & Habīb and Al-A’mash and ‘Atiyyah (an already weak transmitter). Thus, this report is weak and unreliable due to the gap between Habīb & Zaid, and the weakness of ‘Atiyyah. Other reports have added a transmitter between Habīb & Zaid; however, these reports also have a gap in the chain of transmission as we will show in the next report. “The Messenger of Allāh ﷺ, while returning from his last hajj he rested at Ghadīr Khumm and ordered that the ground be swept. Habīb bin Abī Thābit, as shown earlier, never met a companion besides A’isha and Ibn ‘Abbas. Thus, there still is a gap in the chain of transmission between Habīb & Abu Al Tufail. This is a mere indicator to how weak this report is, for Habīb has evidently omitted several men from the chain of transmission! Thus, this report cannot be relied upon. Many Shias will cite Al-Ḥākim’s assertion that the ḥadīth is authentic; however, this is not really an issue to anyone with knowledge and understanding of ḥadīth criticism methodology. Kāmil Abu Al-’Alā’ is not a reliable transmitter. Al-’Uqailī included him in his book: Al-Do’afaa Al-Kabir, which is an encyclopedia of weak transmitters. Though Yaḥya bin Ma’īn and Al-‘Ijlī declared him to be a thiqah, they went against the consensus of the majority of ḥadīth critics. He repeated it three times. Everyone said: “yes”. Ibn ‘Adi & Ibn Ḥibbān stated that makes mistakes in his transmission. As will be shown, Hassan transmits this report from a weak transmitter; thus, his transmission is problematic. 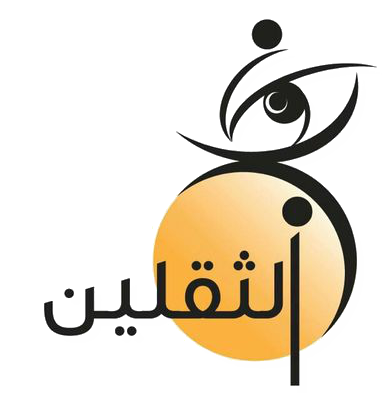 Muḥammad bin Salamah is a weak transmitter. Yaḥya bin Ma’īn,  Al Jawzajanī & Ibn Sa’d declared him to be weak. Al-‘Uqailī also listed him in Al-Du’afaa Al-Kabir, which is his encyclopedia on weak transmitters. The Prophet ﷺ said: The Book of Allāh, one of its ends is in the hand of Allāh, and the other is in yours, so hold on to it and you shall not go astray. The other one is my family. Ḥakim bin Jubair is a weak transmitter. Abu Ḥātem Al Razī and Ibn Ḥajar declared him to be weak. Ibn Ḥibbān mentioned that he was very deluded in what he transmitted. Aḥmed bin Ḥanbal said: He is Da’īf in ḥadīth and Mudtarib (contradictory in his transmission). This report is transmitted through trustworthy and reliable transmitters. As evident, there is no command to follow Ahlulbait in this version of ḥadīth al Thaqalayn. The isnāds of Aḥmed, Alī bin Al-Ja’d and Al-ājurrī contain: Muḥammad bin Talha, who is a trustworthy transmitter that is not absolutely reliable due to mistakes he makes in his transmission. Abu Dawūd & Ibn Ḥibbān mentioned that he used to make mistakes in his transmission. The isnād of Al-Tabarani contains: Sāliḥ bin Abī Al-Aswad, a weak transmitter. Ibn Ḥajar said: “Wāhī”, meaning he is extremely weak. Al-‘Amash, as mentioned earlier, makes tadlis, and unless he explicitly mentions hearing the report from who is above him in the chain of transmission, there could be a gap in the isnād. In this case, Al-‘Amash does not explicitly mention hearing the report from ‘Atiyyah, but he merely transmits it through him by saying: عن or “from”. ‘Atiyyah is a weak transmitter as shown earlier. Al-Jawzajani said: He had a bad retention of reports, and was contradictory in his transmission. Ibn Sa’d & Al-Dāraqutnī mentioned he was not a strong transmitter. Al-’Uqailī included him in Al-Do’afaa Al-Kabir, his encyclopedia on weak transmitters. In this case Al-Qasim’s report from Abu Sa’īd Al Khudri is only corroborated by Atiyyah, another weak transmitter; thus, it is unreliable. Thus, Al-Dāraqutnī in reality criticized the ḥadīth and criticized its chain of transmission due to the presence of an unknown man in the Isnād, so how can Shias cite this ḥadīth of Al-Dāraqutnī claiming it supports their argument?! Similarly, Hensh is a weak transmitter. Al-‘Uqailī listed him in Al-Do’afaa Al-Kabir , his encyclopedia of weak transmitters. Zaid bin Al-Hassan Al-Anmāṭī is a weak transmitter, as noted earlier in this paper. Ma’ruf bin Kharrabudh is also not a reliable transmitter. Yaḥya bin Ma’īn declared him to be Da’īf (weak). Al-Nasā’ī declared him to be Da’īf (weak). Al-Ḥākim transmits the report through Sāliḥ bin Musa Al-Talhi, from ‘Abdulaziz bin Rufai’, from Abu Sāliḥ , from Abu Hurairah, who said: the Messenger of Allāh said: “I have left among you two things from which you shall never go astray: The Book of Allāh and my Sunnah, and they shall never separate until they meet at Al Ḥawdh. Al-Nasā’ī and Ibn Ḥajar said: “Matrūk al Ḥadīth”, meaning: his transmission is to be disregarded. This report is clearly weak, as there is more than a 130-year gap between Imam Mālik and the Prophet ﷺ; therefore, this report of Al Thaqalayn is not reliable. Musa bin ‘Ubaidah is a weak transmitter. Kathīr bin Zaid is not a reliable transmitter. The earliest quote from a critic available is that of Ibn Al-Qattān Al-Fāsī, and he states that Muḥammad is an unknown transmitter. Ibn Ḥajar claimed he was a sadūq. Considering the fact that Ibn Al-Qattān Al-Fāsī claimed he was unknown, along with Ibn Sa’d’s statement that he had very little reports transmitted, it seems that the correct ruling on this transmitter is that he is unknown. Al-Dhahabī statement does not mean he views him to be a reliable transmitter. The mere fact the he knows no criticism of him as a transmitter does not mean there is any praise of him that makes him a reliable transmitter! In fact, it only supports the notion that he is an unknown transmitter, as stated by Ibn Al-Qattān Al-Fāsī. Similarly, Ibn Hajar’s claim that he is a saduq, goes against the general indicators provided by the earlier critics. “I am about to receive a messenger (the angel of death) from my Lord, and I am about to respond to the call (of my Lord). I am leaving among you Al Thaqalayn: the one being the Book of Allāh in which there is right guidance and light, so hold fast to the Book of Allāh and adhere to it. In these authentic Thaqalayn reports, we see that there is only a command to follow the book of Allāh and hold steadfast to it. The Prophet ﷺ mentions Ahlulbait, on the other hand, for the Muslims to take care of them and give them their rights after the death of the Prophet ﷺ. In the Ḥadīth of Zaid bin Arqam reported by Muslim, the companion explicitly says that the term Ahlulbait mentioned in the ḥadīth spans Alī, Al-‘Abbas, ‘Aqil, Ja’far and their respective progenies. Thus, the term Ahlulbayt in hadith Al Thaqalayn it is not limited to the progeny of Fatimah as many Shias claim. Some individuals might appeal to the authentication of Al Thaqalayn by other muhaddiths to many of the reports deemed weak in this paper. However, the very nature of this kind of work is very holistic; thus, many muhaddiths who authenticated the earlier reports did not provide extensive research regarding these reports. In this paper, evidence was presented to support every claim; hence, these citations and points must be addressed if anyone were to academically address this paper and refute its conclusions. Quoting the authentications of other muhaddiths and researchers does not address the argument presented, as many of these individuals (as mentioned earlier) were simply limited in their research for many varying reasons.